Construction sites tend to be very dangerous places. In fact, accidents occur on these sites regularly, regardless of which laws and regulations are put into place. Individuals need to be aware of this when working at or visiting a construction site and take extra precautions to prevent an injury or fatality. What may appear to be a minor violation of the law can actually be deadly under the right circumstances. 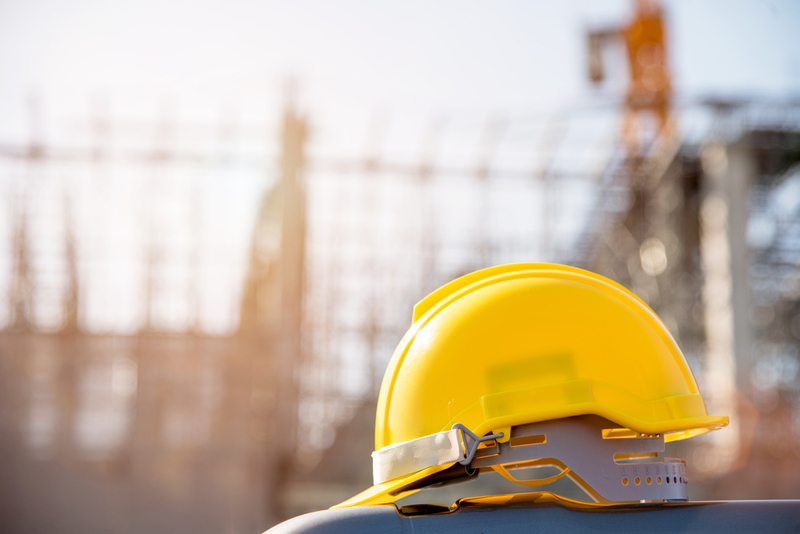 Following are the four most common construction accidents that lead to fatalities. Falls are the leading cause of fatalities in the construction industry. In fact, according to the Census of Fatal Occupational Injuries, fatal falls accounted for 886 employee deaths in 2017, the highest level in the 26-year history of this report. Often, this occurs due to a lack of guardrails, as falls from scaffolding happen far too frequently. These deaths can often be prevented by ensuring scaffolding is safe and secure, guardrails are in place, and workers use safety equipment to protect them in the event of a fall, such as safety harnesses. Items on a construction site that are not secured remain a hazard for anyone on the job. These objects, such as tools or materials, account for 8.2 percent of deaths in the workplace each year when they fall, fly through the air, or are otherwise used in a manner not intended. In 2017, 80 people lost their lives as a result of this type of accident, although one death is one too many. Safety nets can be of great help in catching these items and preventing injuries of this type or death. Any time a worker gets trapped in or between two objects or equipment, the risk of death rises greatly. The same is true when a worker is crushed or caught in a structure, material or equipment that is collapsing or has collapsed. OSHA found that 5.1 per cent of workplace deaths on construction sites were the result of this kind of accident. Employees need to be aware of this and take the necessary precautions to prevent injuries or death. The attorneys at Sibley Dolman can help individuals who find they have been injured in a caught in/between accident. According to OSHA, 7.3 percent of deaths in the workplace is the result of electrocution. Electrical safety must always be a top priority to prevent deaths or injuries in the workplace. These deaths may occur when a person makes use of defective equipment or comes into contact with an exposed wire. Furthermore, the employee may not be aware of the minimum clearance distance from a power line, which can result in death. Employers need to ensure every employee is trained in electrical safety, not simply those who work around electrical equipment every day. By training all in this area, an employer can increase the safety of every job site. Other types of accidents also occur on job sites. For example, vehicular accidents happen and may lead to the death of one or more workers. Every person working on or visiting a job site needs to be aware of potential hazards at all times. Furthermore, employers must take steps to ensure the job site remains safe. A failure on either part can lead to serious injuries or death, thus worker safety needs to be a top priority at all times.